“An Adventure with Ties in Space is a men’s fashion blog which aims to give the modern gent wearable and stylish outfits inspired by those seen in our favourite sci-fi show. Including (but not limited to) looks worn by the Doctor over the 50 years the show has been on the air, the blog breaks down many iconic looks and offers modern alternatives at varying price points. Intrigued we gave it a look and true to its word the site does indeed provide a series of ‘Doctor inspired’ outfits. The key point to make is that An Adventure with Ties in Space is not a cosplay blog, it’s a fashion blog, but in putting together modern everyday versions of the Doctors outfits it does look at how they are put together and links or references other cosplay blogs so is definitely worth a read. The below is an extract of the sites inaugural post that sums it all up far better than we can! “This blog is a bit of fun designed to give you inspiration for looks and outfits inspired by the Doctor. Whether your favourite incarnation is Hartnell, Baker, the other Baker, McGann, Tennant, or Capaldi (or any of the others!) you’ll be sure to find, over the coming months, something to inspire you in your day to day life. The whole notion of this blog is to give ideas and inspiration about how to subtly take certain styles, items, or motifs from the Doctor’s wardrobe and incorporate them into something new, unique, and yet still 100% rebel Time Lord. I must point out now that this isn’t a cosplay blog and will not be overly concerned with screen accuracy – if you want something more instructional in how to attain the exact look of an incarnation of the Doctor, do try out the RPF. 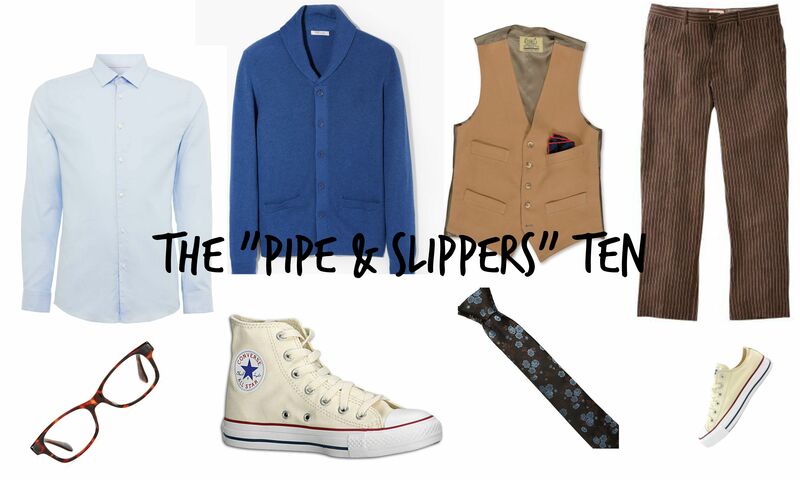 So, if you’re looking to put together a modern Doctor inspired outfit give An Adventure with Ties in Space a look!